As you move around hunting, and even when you are just sitting, your body is giving off millions of scent molecules into the surrounding air. The clothes and boots that you wear, and equipment you carry all have odors that add to the scent pool around you. The greatest of the whitetail deer’s senses is their nose! In hunting areas that see moderate to heavy pressure, the deer associate human odor with danger and give the hunter very little leeway for mistakes. Deer in areas with light hunting pressure are less conditioned to that association, and lapses in scent control won’t have the same consequences. When you are out hunting, if you think “I am sitting facing a steady wind so I don’t need to worry about all that scent control stuff”, think about all the area downwind of you that is being polluted with your scent. Some of the areas you hunt may include a ‘hub’ where several deer trails come together, which means your scent will eliminate a large area of potential. Remember mature bucks may come from the wrong direction because their travels are not always regular during the rut. There is also the challenge of a variable wind, a swirling wind, a changing wind, a crosswind, thermals, sea breezes, gusts, downdrafts and zephyrs. Remember how many times you have sat around a campfire only to have the smoke blow into your face as the wind changes several times in a few hours. So hunting on windy days means you have to be aware of where your scent is going. Deer don’t tend to move around a lot on windy days because they lose a lot of two key senses being their smell and hearing. The most deer movement tends to occur on calm or light wind days. However on these days, your odor spreads around you in an increasing scent pool or fog in all directions! If there is a light wind it tends to be variable around the obstacles like trees, rocks hills and creeks. 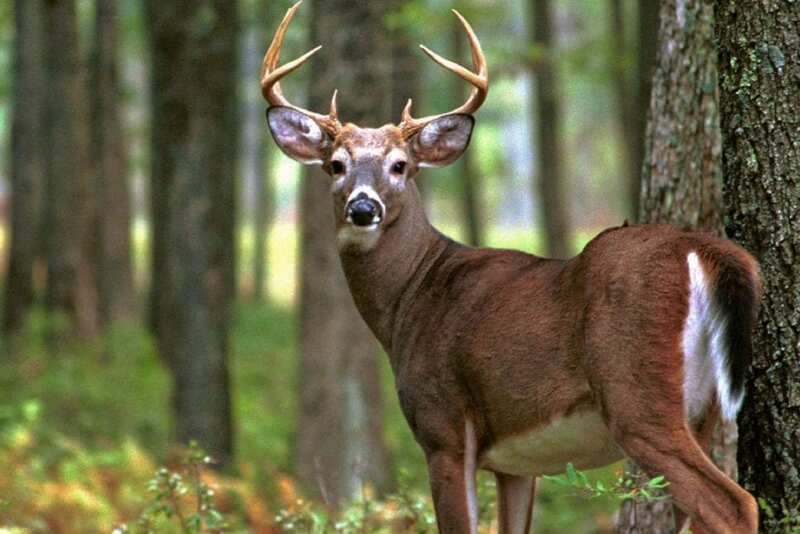 So your scent will likely end up in all directions making hunting that site highly risky at best and in fact it is best not to hunt prime hunting spots under these conditions, and put the buck on full alert, or worse, cause him to change his habits. However, waiting for the ideal wind for a particular site may not be an option for reasons such as time constraints or pressure from other hunters. In that case you need a scent control system to minimize your scent. So how can you control the amount of your scent that reaches the whitetail’s nose? Reduce your scent as much as possible. When walking in you can grind your boots in fresh deer droppings. If you are going to reduce your scent using the system above, you should follow all of the steps and not just a few of them. The aim is to be as odor free as possible. However, having done all of the above, you should still hunt thinking about the wind as though you haven’t done any of them.